XSITE is pleased partner with Meeting Professionals International Southeast Educational Conference (MPI SEC) this August. 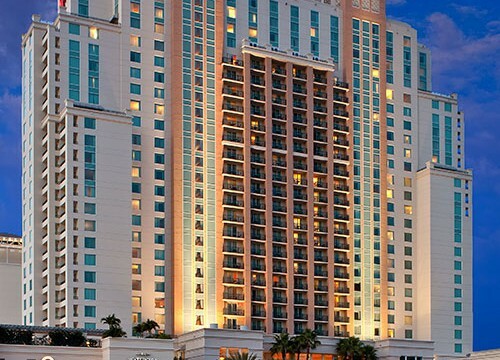 The MPI SEC is being held at the Tampa Marriott Waterside August 26-29, 2015 and is considered the must-attend conference for meeting professionals. Nearly 500 meeting professional from the SE and across the US are expected to participate in 3 days of education from industry experts and numerous opportunities to network and build business relationships. MPI SEC Appointment Show powered by XSITE will be providing an Appointment-Style Reverse Tradeshow on the first day of the event, Wednesday, August 26, 2015. Planners attend MPI SEC Appointment Show powered by XSITE and are provided complimentary SEC registration ($285 value) based on a qualification process. Suppliers can participate in the Reverse Tradeshow for $1,400 which includes up to 15 face to face appointments and admission to the VIP Connection Reception. The VIP Connection Reception is an invitation-only event for all registered SEC Planners and select Suppliers. All Planners and Suppliers must register for both MPI SEC 2015 and MPI SEC Appointment Show powered by XSITE events in order to attend the MPI SEC Appointment Show.